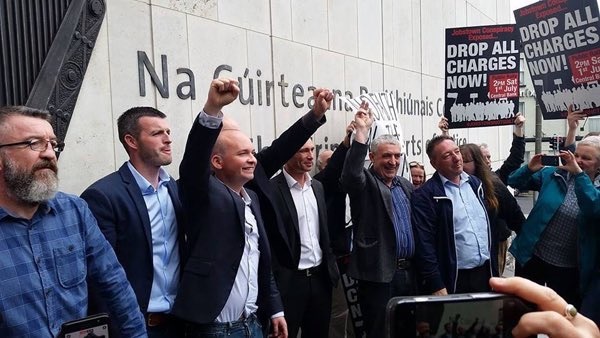 Socialist Paul Murphy TD and five other men have been found not guilty of falsely imprisoning former Tanaiste Joan Burton and her adviser during a 2014 water charges protest. 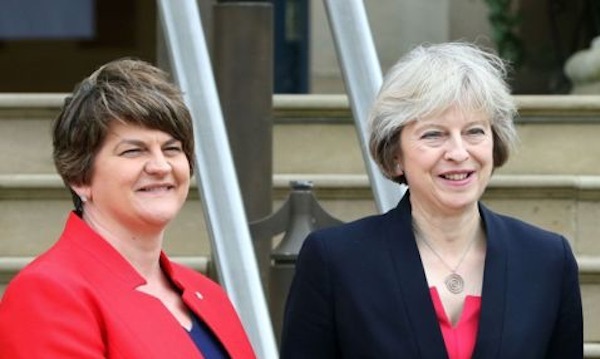 The Democratic Unionist Party (DUP) and the Conservative party have completed a deal which will see the DUP prop up a minority Tory government. 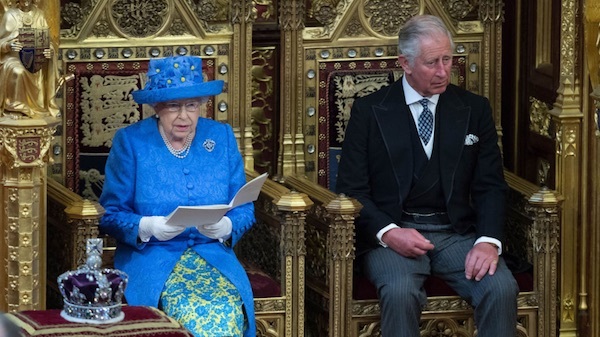 English royals Elizabeth and Charles Windsor have delivered the legislative agenda of the presumptive minority government in London for the next two years which revolves around its uncertain plans to withdraw from the European Union. 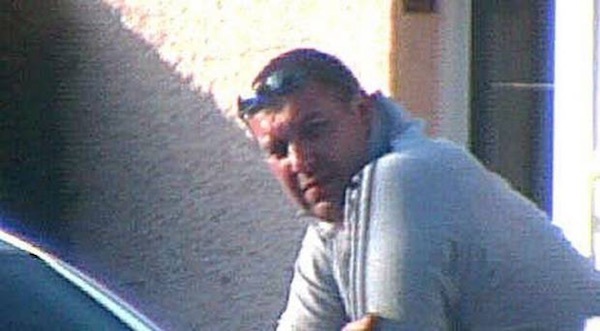 Relatives of the victims of a notorious British state agent watched as Gary Haggarty answered guilty to a lengthy list of charges at Belfast Crown Court on Friday. 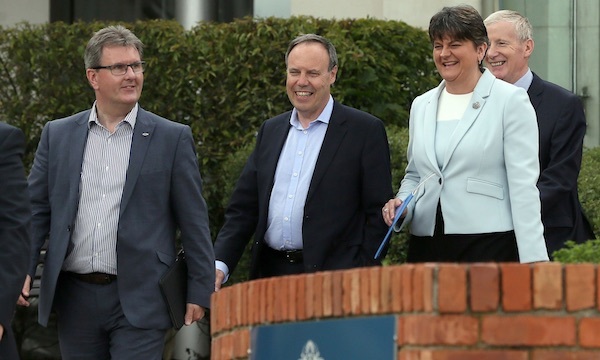 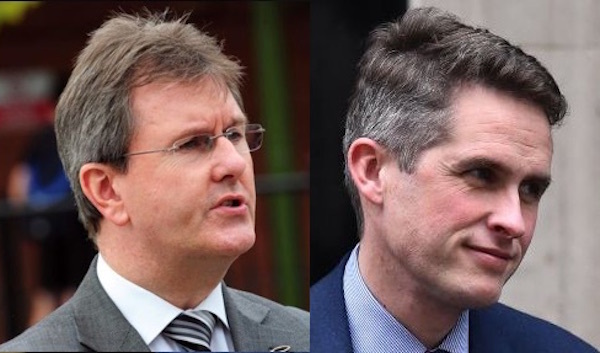 Talks between the Democratic Unionist Party and the British Conservatives have continued in London on a ‘confidence and supply’ agreement for the DUP to prop up a minority Tory government at Westminster. 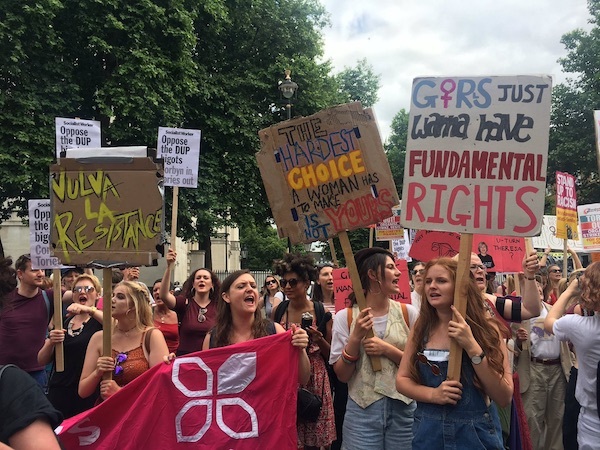 A march is taking place in London today [Saturday] in opposition to the DUP and its policies. 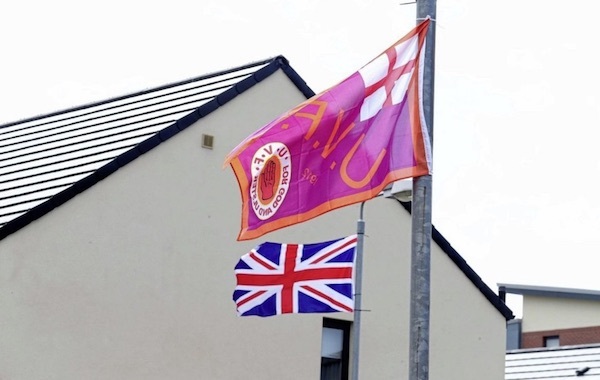 There has been a public protest at the erection of loyalist paramilitary flags in South Belfast after the recently elected MP, Emma Little-Pengelly of the Democratic Unionists, claimed that she sees ‘no demand’ for their removal and that residents ‘do not want a fuss’. 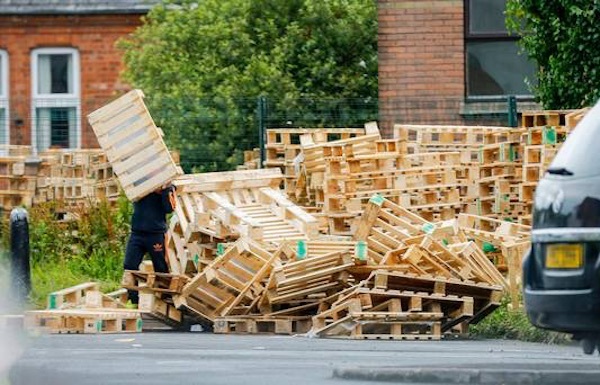 The involvement and support of Belfast City Council for loyalist paramilitary bonfires reached farcical levels this week after 3,000 wooden pallets being stored by the council as fuel for the pyres ended up being stolen by persons unknown. 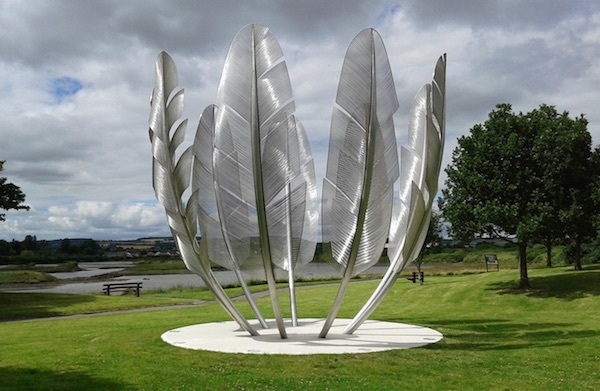 A simple act of kindness 170 years ago by an Oklahoma Indian tribe was celebrated in County Cork this week. 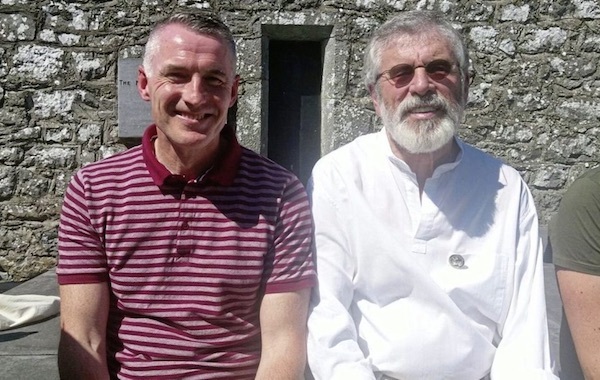 Sinn Fein chairperson Declan Kearney delivered the keynote address to the party’s annual Wolfe Tone commemoration in Bodenstown last Sunday. 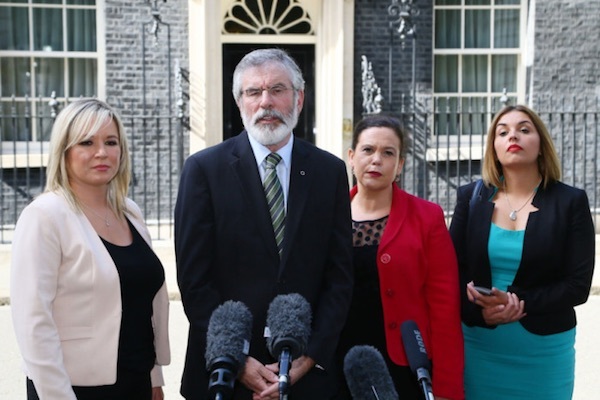 An attempt by British Prime Minister Theresa May to placate the North of Ireland parties over her plans to form a pact with hardline unionists saw Sinn Fein leader Gerry Adams tell her that her government is “in clear breach of the Good Friday Agreement”. 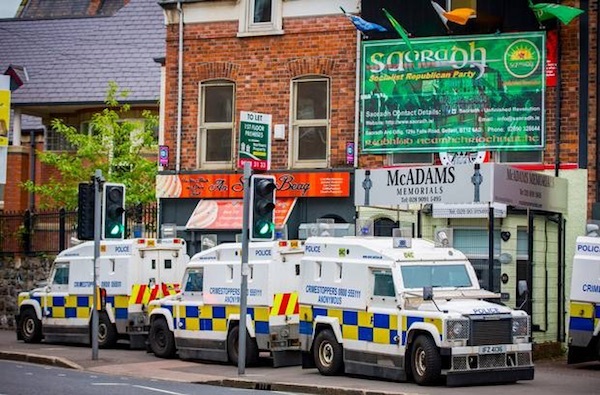 A raid on the headquarters of the republican party Saoradh in Belfast has been described as an act of oppression amid the political upheaval of recent weeks. 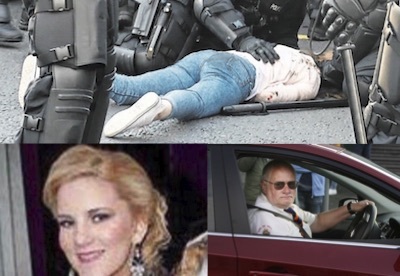 An Orangeman accused of attacking nationalists in the manner of an Islamist terrorist attack has been found guilty of assault and causing grievous bodily harm. 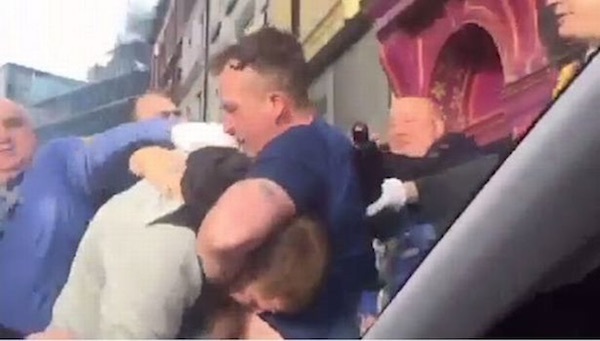 In one of a number of incidents related to parade tensions, loyalists marchers belonging to the Apprentice Boys of Derry staged a mob attack on an Irish bar in Liverpool last Saturday evening. 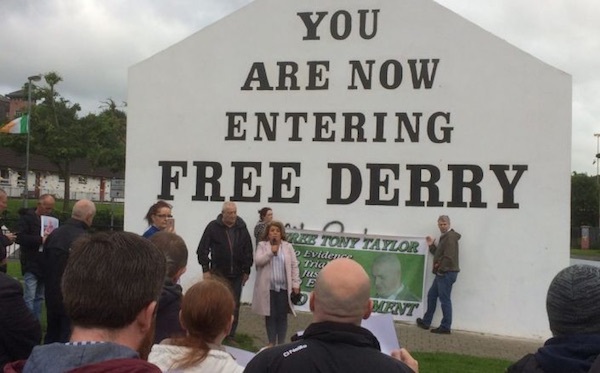 The wife of interned republican activist Tony Taylor is hoping public protest and legal action will bring his freedom after a parole panel refused his release earlier this month. 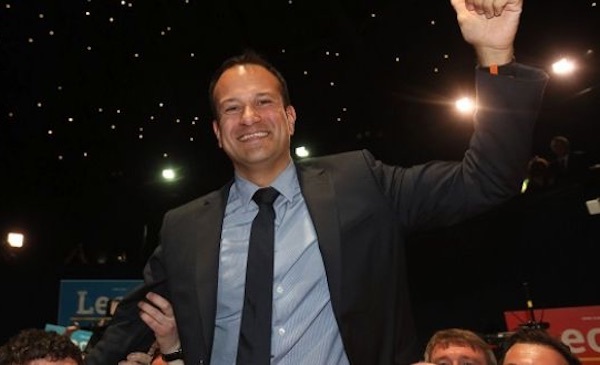 The long goodbye of the outgoing 26 County Taoiseach has ended after he handed in his resignation to President Michael D Higgins, and his successor, Leo Varadkar, received his seal of office. 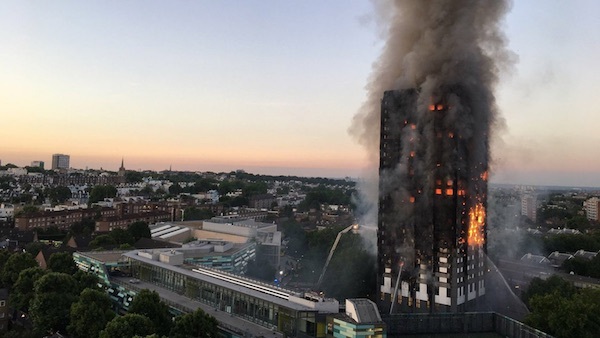 Grenfell Tower is a story of inequality, of the poor herded into a cramped building made unsafe because it was prettified to improve the view of the nearby rich. 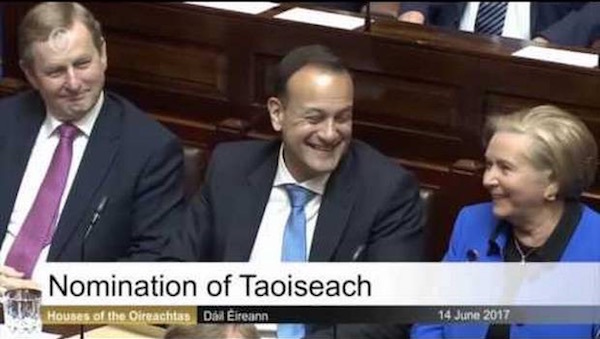 Is Micheal Martin now telling us that if his party ever stands candidates in the North, and they are successful, that they will take the Oath to the English Queen? 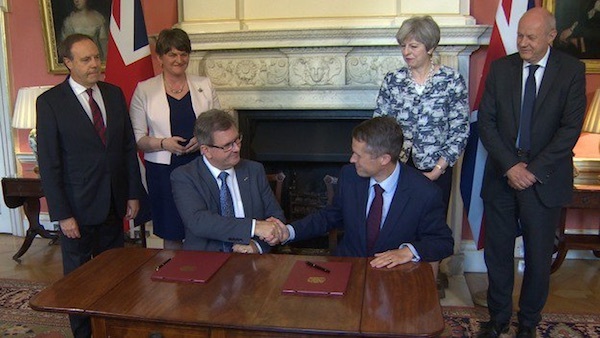 There was a surreal air in Belfast on Monday as talks aimed at restoring power-sharing in the north of Ireland went ahead, even as the DUP were separately negotiating to enter a deal on government with the Tories in London. 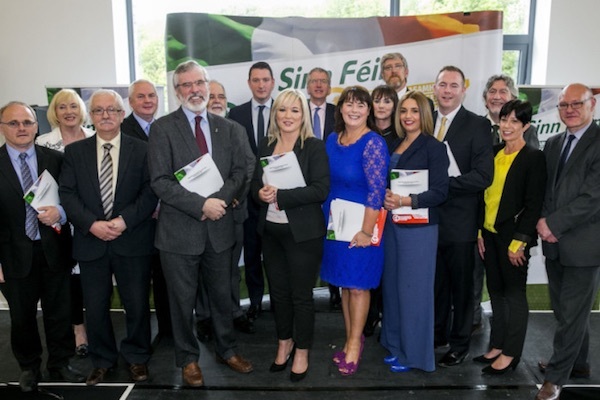 Sinn Fein has played down the impact of a deal between unionists and Conservatives as it emerged the Democratic Unionist Party will support a minority Tory government in London. 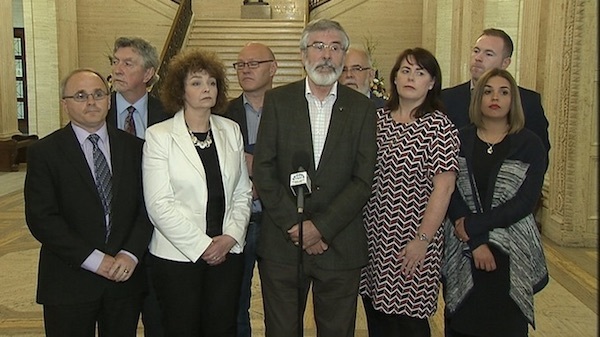 Stormont negotiations scheduled to recommence on Monday are unlikely to go ahead as the Democratic Unionists have turned their focus to London following the Westminster general election. 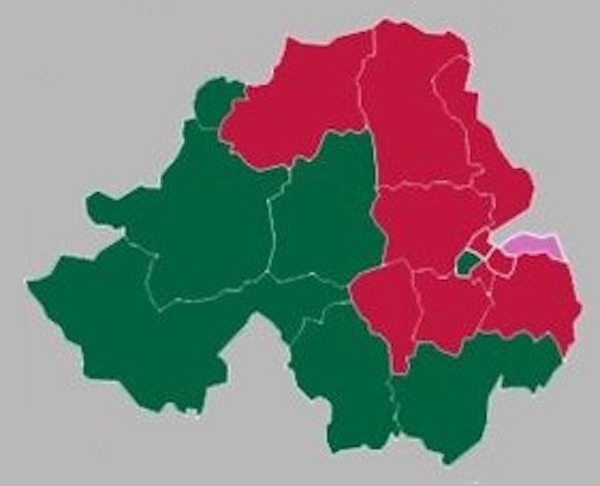 The political geography of the north of Ireland has been rewritten following the Westminster election as Sinn Fein and the Democratic Unionists entirely obliterated the smaller parties, with Sinn Fein emerging as the biggest winner with three extra seats. 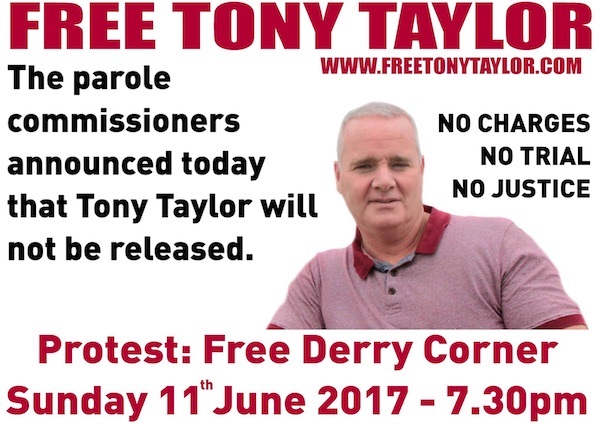 A protest is being held in Derry on Sunday after interned republican activist Tony Taylor was again refused release from prison. 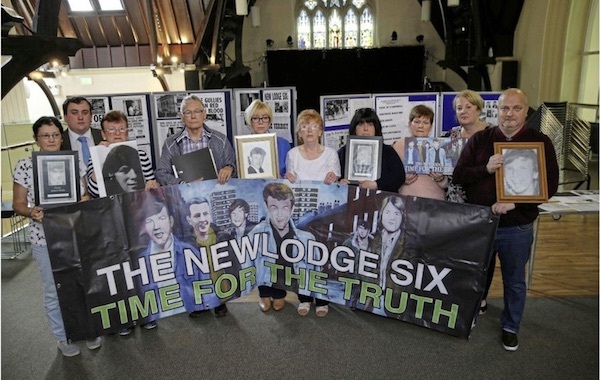 The families of six Catholic men all killed by the British army more than 44 years ago have asked the Six County attorney general for a new inquest. 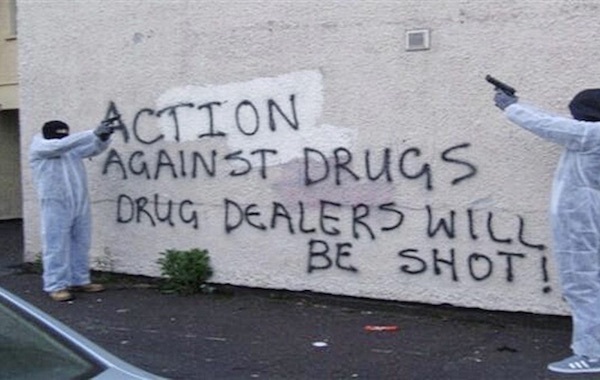 The PSNI police has admitted it failed to disclose a murder bid in Belfast earlier this year as a behind-the-scenes vigilante battle against drug dealers was uncovered. 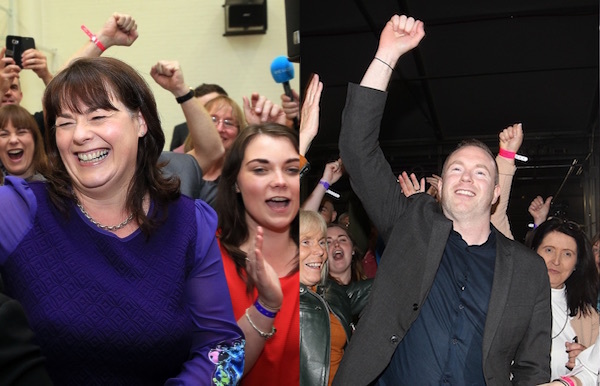 A look at the results of the Westminster election in each of the 18 constituencies in the Six Counties. 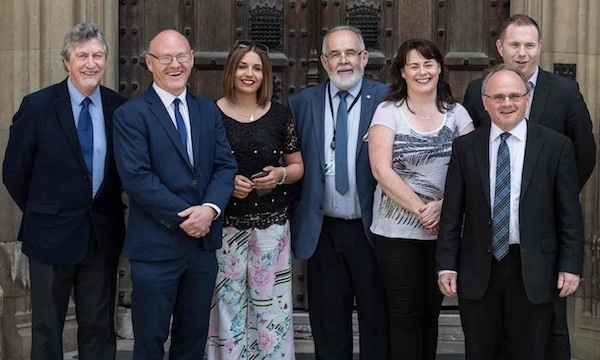 For the first time in fifty-one years, since Gerry Fitt was elected for West Belfast in 1966, there is no northern nationalist voice at Westminster. 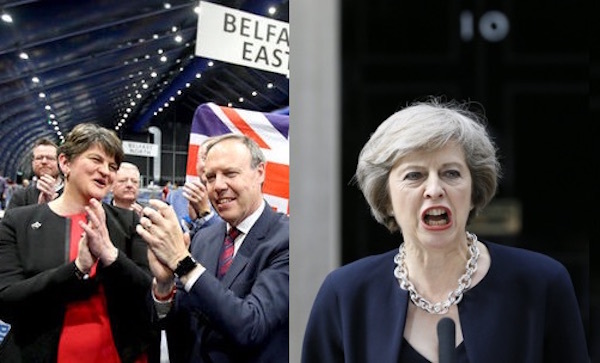 A nightmarish final Westminster election result has given the DUP the opportunity to form a highly unstable coalition with the Conservatives. 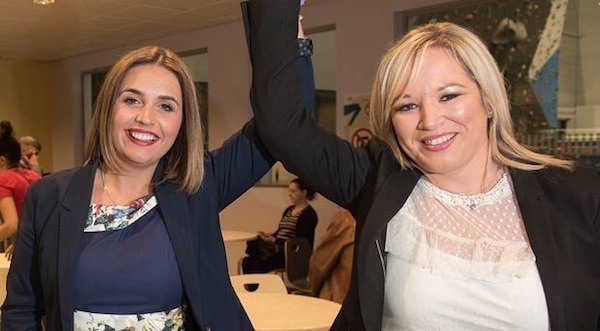 A surge in support for Sinn Fein has seen the party win seats in Foyle, South Down and Fermanagh/South Tyrone, wiping the rival nationalist SDLP off the Westminster political map. 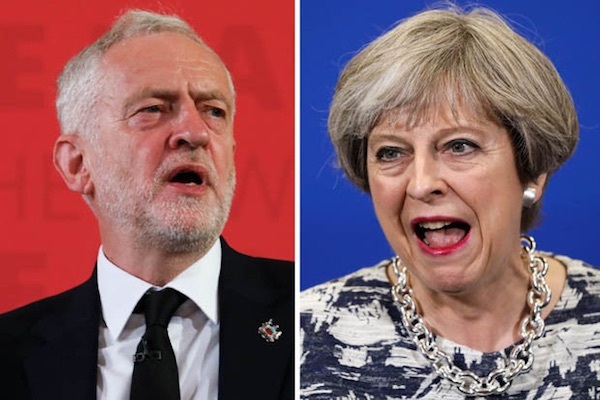 The Conservatives are failing to gain seats and their majority in the House of Commons could even be in doubt as early results come in from the British general election. 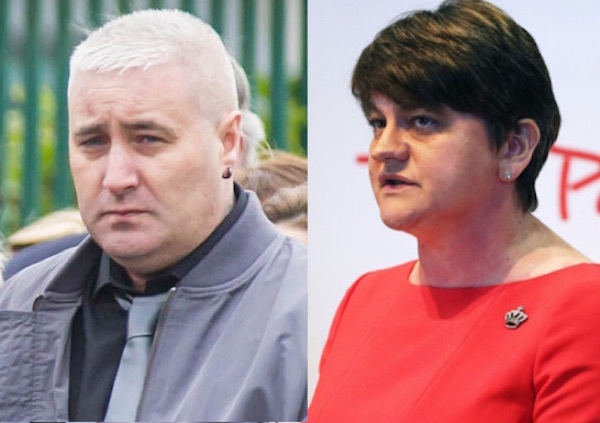 A brutal murder by the unionist paramilitary UDA of a feud rival and its subsequent election endorsement of the DUP has dramatically raised the issue of collusion between unionist politicians and loyalist murder gangs ahead of next week’s Westminster election. 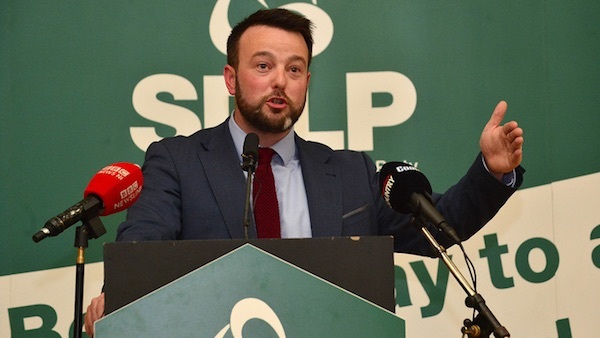 In a move which has brought the two nationalist parties in the North closer than ever politically, the SDLP is backing calls for a border poll on Irish reunification. 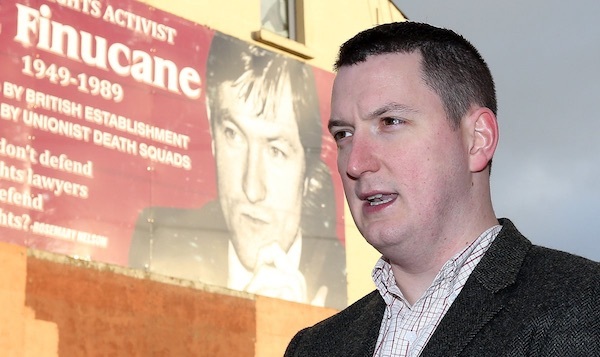 Sinn Fein North Belfast candidate John Finucane has received a chilling loyalist death threat as the election campaign entered its final week. 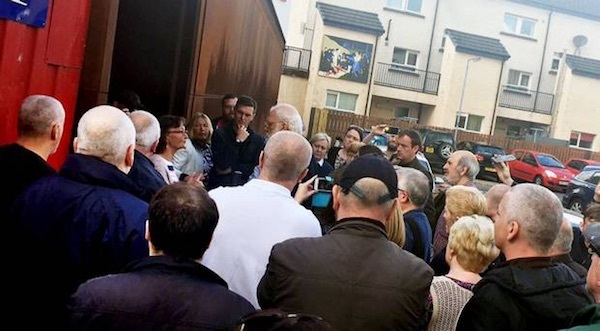 A protest was held on Friday afternoon, June 2, over the inclusion of the names of British soldiers and RUC members killed during the conflict in an installation at the Museum of Free Derry. 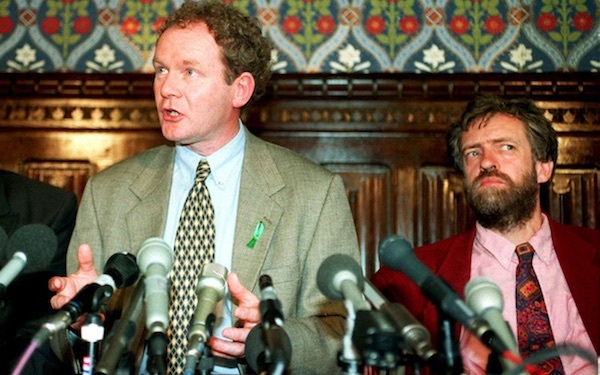 A smear campaign against Labour leader Jeremy Corbyn by the British Conservative Party took a sinister turn this week after the party promoted a “fake news” attack video over his views on the conflict in Ireland. 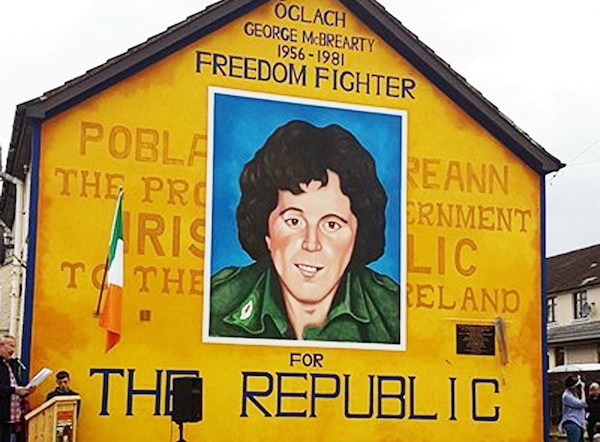 A former IRA Volunteer, John Crawley, delivered the main address at the unveiling of a new mural in honour of IRA martyr George McBrearty on the 36th anniversary of his death on Sunday. 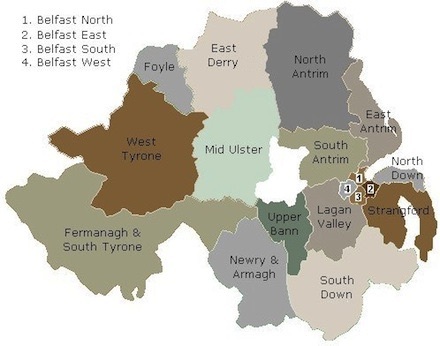 A quick look at each of the 18 Westminster constituencies in the North of Ireland, and what to expect when the election results come rolling in next week. 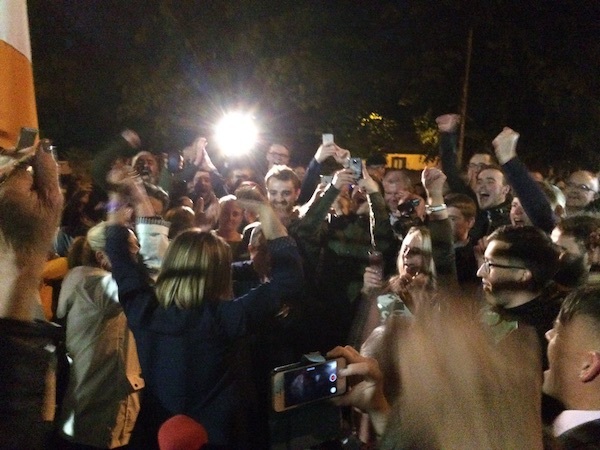 Nationalists have come to appreciate the power and value of their vote.